Even if you feel content with your life, it’s hard to ignore the title of Rohan Healy’s book! At it’s very best it could potentially turn your life around. At the very least it is wonderful support for the way you already live your life. I guarantee there is something worthwhile in here for everyone. Happiness is addressed right off: we are not dealing with a continual high state of elation here. Rather, true happiness as contentedness and an overriding feeling of being okay and at peace. You know what I mean–real happy instead of an image of happy. The 7 Things are organized into parts of the book: the body’s innate intuitive intelligence, stoic philosophy, bullying, affirmations and holistic healing, healthy relationships, personal finance, and abundance consciousness. Each part is beautifully descriptive with an explanation and background, some personal experience, and real-life applications for the reader to use. This book provides tools for day-to-day living, not just happy horse-poo overarching concepts. 🙂 Additionally, each part is summarized at the end, providing key points as reminders and nitty-gritty to revisit. An entire section at the end supplies outside resources, again organized by the 7 parts to the book. It is very well laid out in a format that is easy to return to for refresher reference. In addition, it is easy to read for understanding: Rohan’s style wraps around you like a warm quilt, and you readily assimilate to its comfort. Read this book and be supported in your authenticity! A Successfully Crappy First Draft! So I’m taking a writing class for my own fun and interest, and I just had an epiphany about perfectionism in writing. Like many of us, I want my first tangible efforts to be…well…better than actual crap. I know it won’t be ferpect right out of the gate, but I at least would like to know it is heading in the right direction. I figure my inner editor counts as cleaning up the first draft in my head, and what gets past her and into print for the first time is really my second draft, right? Or at the very least, a better first effort? Okay, okay, I was already aware that a more successful route is to just get it down in print, and work with it from there. Easy to know, harder to own. Apparently I’ve been confusing successful with production and not process. Even though it sounds simple to write a little bit every day and just barf it out with the ability to come back and clean it up later, it turns out that I’ve been writing more like an anorexic than a bulimic. Either way, I’m malnourished. Perfectionism? Me? What? Anne Lamott, spunky author of Bird by Bird, delivered my aha! moment: purposely write a “s**tty first draft”. I’ve read this idea before, but today it just adhered to my cells. I went from knowing that it is okay to have an icky first draft to understanding that it should be an icky first draft. It’s whole milk that produces cream, you can’t get that from skim. Seriously though, I sat down with my journal to play. And I gave my inner editor some time off, inviting her to come back when I had something for her to review rather than preview. Since she was pretty exhausted, she felt this was a good idea and promptly took off for an Arabic bath (thank you, Jenny Morbey Makes!). I haven’t seen her since. Sitting down and playing was…super fun!! Letting go, I flew instead of walked, I ate lobster instead of sandwiches, and I colored with the whole box of Crayola instead of my #2 pencil. I am no longer the same. Oh, I’m gonna do that again! And again. A successfully crappy first draft nourishes the creative garden. I can’t wait to see what grows! 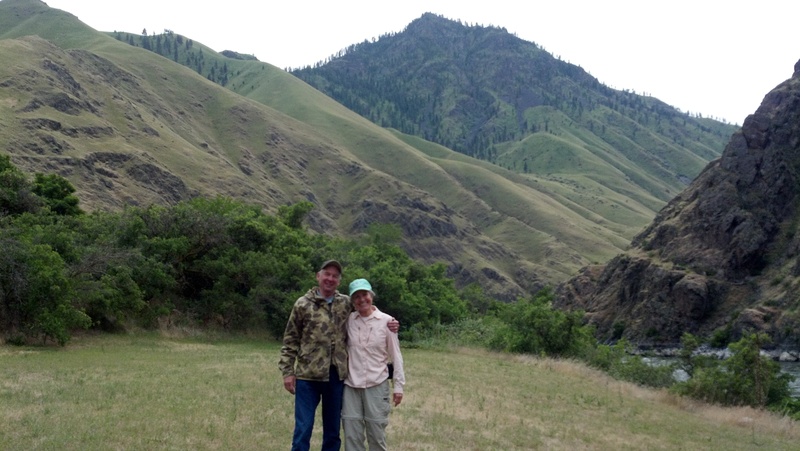 I’ll even invite my inner editor back for the harvest–but only after she enjoys her vacation. 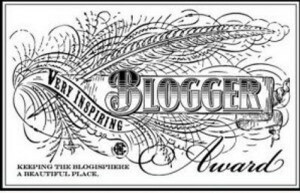 A very warm and heartfelt thank you to AP from the beautiful The Belief Blog for nominating A Wisdom Within for a Very Inspiring Blogger Award! Your writing continues to elevate me, and I am grateful for your support. 4 Nominate 15 other bloggers for this award and link to them. 1. One of my favorite songs is Ode to Joy. 2. I have a secret desire to learn to speak German via Rosetta Stone. 4. 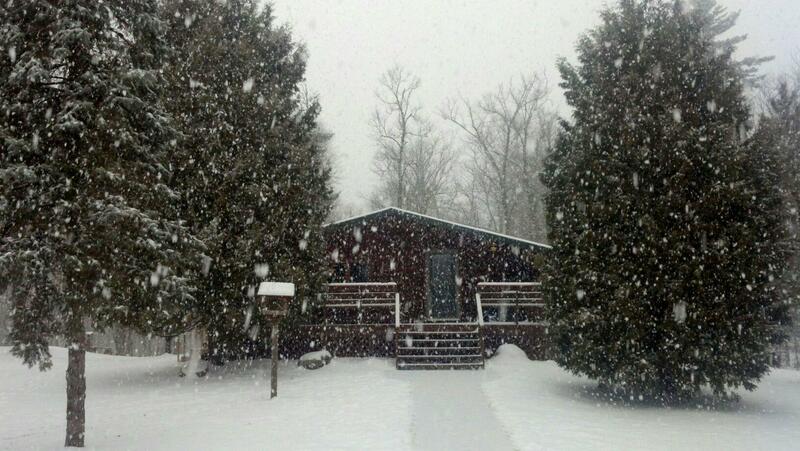 I happily live in a small log cabin. Yes, it has an outhouse. No, it’s not our only bathroom. 5. I totally won the kid lottery with my two sons. They’re now teenagers, and I still say that. 6. Much like the Pirates Who Don’t Do Anything, I have never been to Boston in the fall. But it’s on my bucket list. 7. I could not have asked for better parents. Way to go, God. Be sure to visit these, especially when you can take your time and absorb their beauty. Or click quick and come back additional times, that works too! I’m learning about more and more awesome blogs, my baby step strides are expanding as I grow. Share the love! All Is Well: Heal Your Body With Medicine, Affirmations, and Intuition is a collaborative by the indomitable Louise Hay and the dauntless Mona Lisa Schulz. The book is a how-to guide that integrates healing methods, addressing health in these areas: medical, holistic, nutritional, and emotional. It weaves intuition and logic, emotions and fact–and produces specific direction to address and improve health. After a brief and informative background and purpose, we jump right in a self-assessment quiz. It is safe and not scary, and it is a helpful tool to use throughout the rest of the book. You do not need to currently have a condition or issue to read the book, and taking this quiz will not create one for you! I found it helped attune me to the approach and purpose of the chapters, and will also be useful in the future (and as a parent). The chapters are organized by chakra, or energy centers. They address related symptoms, share clinical case-study examples, and provide specific actions and attitudes that will increase and maintain health in these areas. The writing flows personably and is easy to understand. At the end of the chapters is a resource table, a quick-guide for affirmations to address specific issues. This is easy to navigate, with three areas: Problem, Probable Cause, and New Thought Pattern. It is arranged alphabetically by Problem, and again is incredibly reader-friendly. Through this book we are able to see a greater depth of patterns in how our thoughts, emotions, and physical health are connected, which I believe gives the individual greater power over their own wellness. It gives equality to medical science and personal intuition, never suggesting one over the other. If you have ever read Louise Hay’s “little blue book”, you are already familiar with this type of content. However, the addition of Dr. Mona Lisa Schulz presents the science behind what already makes sense. The depth she brings is a beautiful complement, resulting in an active guide to return to repeatedly, that should be on everyone’s resource list. Hay House graciously gave me a copy of this book in exchange for my honest opinion of it. I got a huge chuckle out of the chakra chapter titles and how they connected recognizable song titles to related energy centers. If nothing else piques your interest after reading this review, please go look at a purchase site that lists the chapters, and share my giggle!